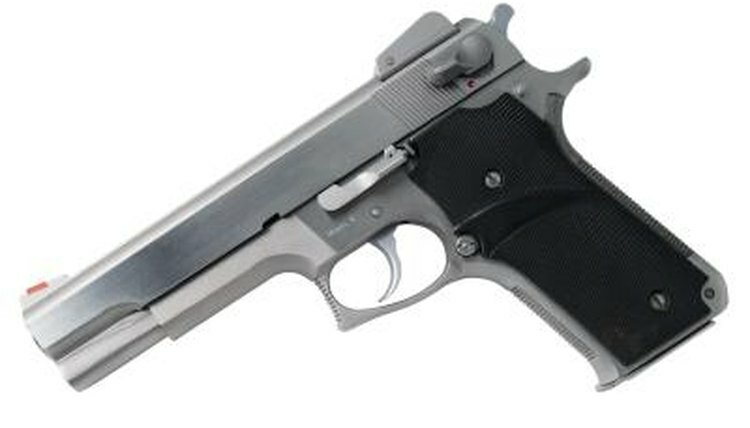 Purchasing a gun in Florida is a relatively straightforward procedure. A licensed gun dealer supplies you with Form 4473 from the federal Bureau of Alcohol, Tobacco and Firearms to fill out for a criminal background check. You'll also need to provide an acceptable type of government-issued proof of identity, such as a driver's license or passport. To purchase a rifle or shotgun, you must be at least 18 years old. No waiting period is required. The minimum age for purchasing a handgun is 21, with a mandatory three-day waiting period unless you already have a state-issued concealed weapons permit. Background checks are required for both types of guns, but fingerprints are not. Florida doesn't limit the number of firearms you purchase at one time with each background check. If you purchase additional weapons in the future, you must undergo another background check. If the background check reveals a felony conviction, active warrant, mental illness or domestic violence charge, you might not receive approval. That's also true if you are currently using illegal drugs or you’ve been convicted of controlled substance charges within the past year. A dishonorable discharge or court martial from the U.S. military can trigger non-approval, as can renunciation of U.S. citizenship. If you were convicted of a felony as a juvenile and are still under the age of 24, it's unlikely you will receive approval for a gun purchase in Florida. Illegal aliens can't receive approval to purchase guns. Meggitt, Jane. "Florida Gun Purchasing Laws." , https://legalbeagle.com/6366899-florida-gun-purchasing-laws.html. Accessed 18 April 2019.